2.) Students with ODD can only be treated with medication. While some students with ODD take medication, it would be to assist with managing behaviors manifesting from their ODD or related needs (like hyperactivity or depression), but would not "treat" their ODD. Medication never removes a disorder from a student, their needs will still remain but may be managed better by medication if a medical professional & guardian deems that necessary. Remember that even if a child with ODD is on medication, they will still have ODD! Only environmental changes and attending to student needs individually can really help a child with ODD to thrive and succeed in a school setting. 3.) Students with ODD love to argue. Say it with me - kids do well if they can. No student is coming to school to make your life miserable. Students with ODD struggle with relinquishing control to adults and trusting others. So - if you're getting into power struggles - try adding choice into your day! Giving students opportunities to make choices in what happens throughout the day will really eliminate some of the continuous arguments you find yourself in. 4.) 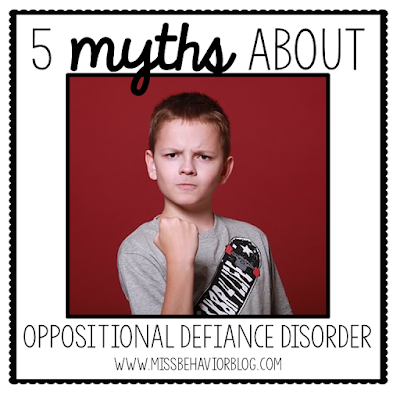 ODD and Conduct Disorder are the same thing. 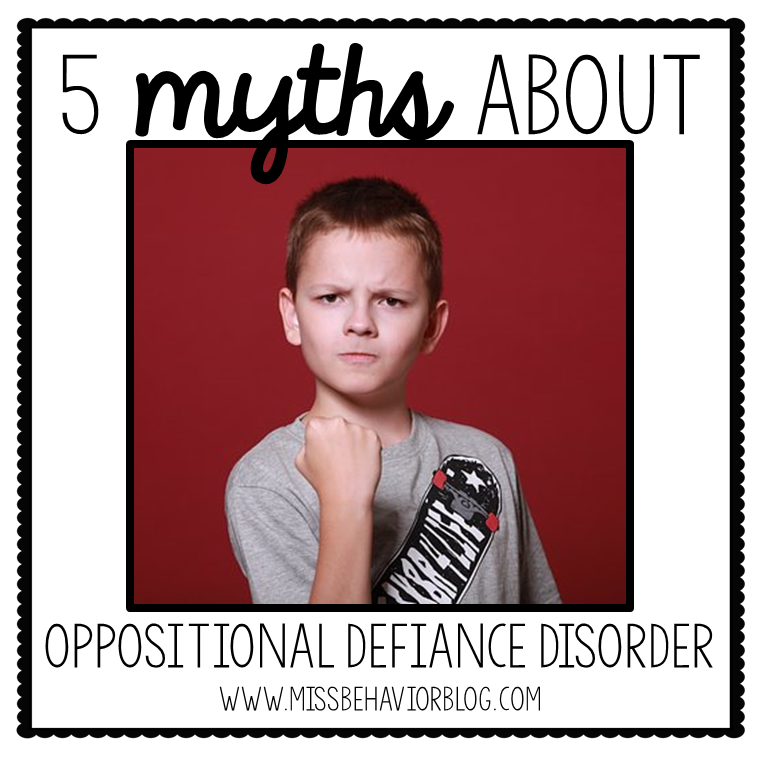 ODD consists of angry/irritable mood, argumentative/defiant behavior, and/or vindictiveness, while conduct disorder (CD) consists of aggression to people and/or animals, destruction of property, theft, and/or serious violations of rules. Children with ODD can develop CD, but they are not the same. 5.) Having very clear consequences/punishments for students with ODD is the best approach. Research tells us very clearly that punishments don't help children with ODD change or shape their behavior. It's not easy to find what works, but a consistent routine, strong relationship building focus, choice making opportunities, healthy opportunities for leadership/control, and explicit social skills training can be really effective.